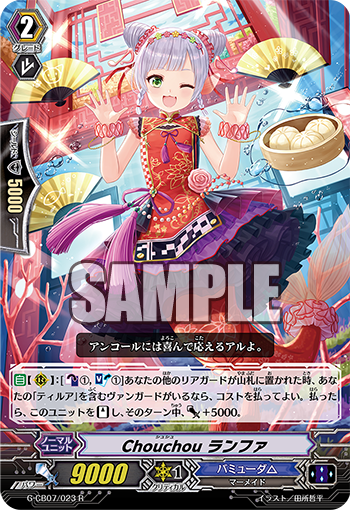 Today’s COTD is a Chouchou rear-guard that can restand itself. AUTO (RC) [Counter Blast 1 & Soul Blast 1] When one of your other rear-guards is put into your deck, if you have a vanguard with “Tirua” in its card name, you may pay the cost. If you do, Stand this unit and this unit gets Power+5000 until the end of the turn.